Congratulations to Sally for winning the round robin competition for 2018. Round robin mixed doubles tennis starts at 9.30am until 12.00pm or just come along and have lunch only from 12.00pm. There will be raffle prizes drawn on the day. Everyone is welcome. Any donations for raffle prizes would be very much appreciated. 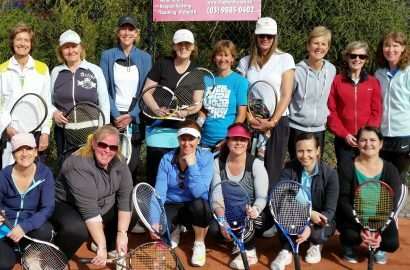 Come and join us on this special day remembering Lil who enjoyed playing social tennis at our club on Wednesday mornings and raise funds for Cancer Council Victoria.